The food manufacturing value chain is long and complex. Warehousing is one of the most important steps in ensuring the end product is safe and ready for distribution. PacMoore is a turnkey processing company that also supports you with contract food warehousing solutions, packaging, and distribution of raw food materials and finished products. How can we help you meet your food warehousing needs? What Is Involved in Packaged Food Warehousing? – Pest control. From ants and insects to rodents and birds, everything wants to eat your food products. We are on guard to prevent all pest access to your products and diligently monitor the premises. – Sanitation. Outside contaminants can spoil your product, which is why we have standard-setting measures in place to ensure that our warehousing areas are clean, organized and sanitized. – Personnel. Our employees are well trained in safe food handling. First and foremost, employees pay close attention to personal hygiene and safe food handling practices to protect your products. 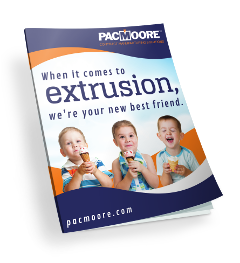 What Can PacMoore Do for You? – We are cost effective. Coordinating the logistics for the delivery of raw materials or pickup of finished products can be a challenge. Unexpected delays on either end can also cause cash flow issues that hit your bottom line. We are here to help by providing 15 days free warehousing on both inbound and outbound shipments for our contract manufacturing customers. Our ability to ship directly to your customers only enhances these benefits for you. – We cover all the bases. Both our Hammond and Mooresville facilities have specialized food product warehousing capabilities to store raw ingredients, packaging supplies and finished goods, all of which are housed in separate areas for quality control. Our finished goods storage locations in the heart of the Midwest agribusiness corridor provide you with increased logistics flexibility and more comprehensive options for storage and direct shipping — and that makes moving products just a little bit easier. Our friendly staff members are eager to hear about your food processing, packaging and warehousing requirements. Contact us today to find out what we can do for you. 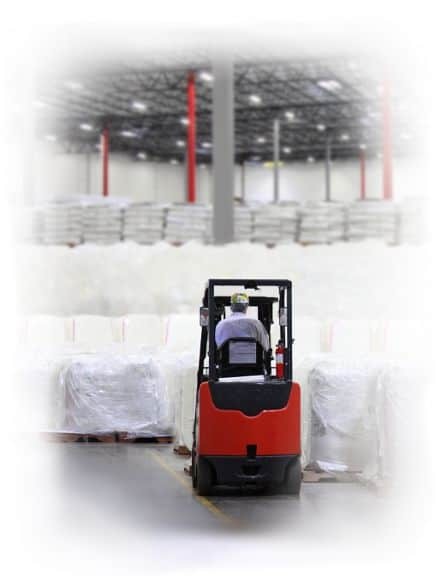 Do you have additional questions about our Warehousing Solutions?